The importance of maintaining a good credit score is old news. As you probably know, the higher your score, the more attractive you’ll be to potential lenders, making larger loans and the best interest rates more accessible. Hopefully you’re working hard at keeping that score high by using your cards and paying your bills on time. You may be wondering, though, if more is better. Should you open a few more and get more available credit? Or, are too many cards a liability to your score? Before we answer the number of cards question, let’s explore the way FICO and other credit scoring agencies, like VantageScore, calculate that all-important credit score. Your payment history. The timeliness – or lack thereof – of your payments comprises 65% of your FICO score, making it the most important factor. VantageScore, another major credit scoring company, doesn’t share the percentages it uses, but it calls payment history “extremely influential” in determining your score. Your credit utilization. Credit scoring companies look at how much of your available credit you are using. A large amount of available credit – even in aggregate across multiple cards – is not always a good thing. The age of your credit. Next up on the list of influential factors is how long you’ve had your credit cards open. Lenders want to see a long and active history of credit cards and on-time payments. The kind of credit you have. A variety of credit indicates that you are an attractive borrower. Credit utilization rate. FICO likes to see a low credit utilization rate. This means that the more unused credit you have, the higher you will score in this area. Having multiple cards open will automatically increase your available credit. You’ll also be able to spread your credit use across several cards, further lowering your credit utilization rate. Are you waiting to hear that magic number telling you exactly how many cards you should have in for achieving and maintaining a high score? Well, unfortunately, there is no such “magic” number. As mentioned, you do need to have several credit cards to increase your credit age and available credit, but there is no specific amount you should have. Instead, let’s take a look at the credit cards of consumers who have excellent scores. The FICO high-achiever statistics track people with FICO scores that top 785. These statistics find that the average FICO high-achiever has 7 open credit cards. Of these cards, only four have outstanding balances. The average credit account is 11 years old and the most recently opened account is 28 months old. So, while you may be quick to observe that several cards may be a good thing, consider the age of the cards in the wallets of high achievers. Perhaps lots of new cards won’t help you achieve excellent credit. Rather, a proven track record of on-time payments and responsible use of credit is the vital factor here. Hard checks on your credit. 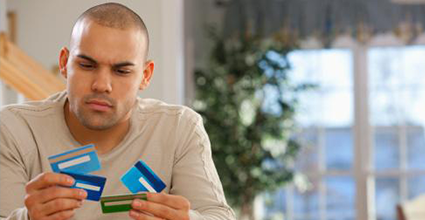 Every new credit card you apply for means another time your credit history gets pulled. Lots of “hard checks” can negatively affect your score – just what you don’t need before applying for a large loan. It may hurt your chances of approval and/or increase your approved rate. Your credit age will decrease. The age of your credit is determined by taking an average age of all your cards. By opening lots of new cards, you’re bringing that average down and hurting your score. Your credit variety will be lessened. Similarly, opening more unsecured cards with revolving credit will lower your credit variety, because you will suddenly have a much heavier amount of unsecured credit lines and less of other types of borrowings. Too much open credit. While once considered a positive attribute across all credit scoring companies, the recent modifications to the VantageScore have changed all that. Lots of open credit will now negatively affect your VantageScore. This score is used for auto loans and other large loans; though most mortgage lenders currently only consider your FICO score. Here’s the final word on having lots of open credit cards: If you’re just starting to build your credit and don’t plan on taking out a huge loan soon, it’s a good idea to open a few cards. Pay them on time and try not to go above 30% of your available limit on any of them. But, if you plan on applying for a large loan in the near future, give that card acquisition a rest and focus on using the cards you have responsibly. Whichever category you fall into, remember to use your cards and pay those bills on time! The easiest way to do this is to make it automatic. Set up each of your credit cards to pay for a monthly bill. Then, set up your credit card bills to be paid automatically as well. Keeping your credit score strong can have positive effects on your finances for years to come.